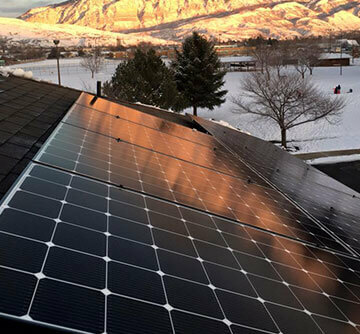 Redstone Solar is proud to be featured in this years Salt Lake Parade of Homes! For the 2014 parade, 29 homes have been built around the Salt Lake valley to feature the latest design, technology and craftsmanship from the areas top home builders. The parade will be running until August 16th, from Noon to 9 pm, Monday through Saturday. Come visit us in home #10, “Cassidy’s View”, built by Steven Dailey Construction, located at 15611 S Winged Trace Court, Draper, UT 84020. Click HERE to see the details on the home from the Salt Lake Parade of Homes committee. For the 12.42 kW solar array, 46 SolarWorld 270 watt black solar panels were used to produce clean, sustainable electricity. SolarWorld manufactures the highest quality solar panels in Hillsboro, Oregon. 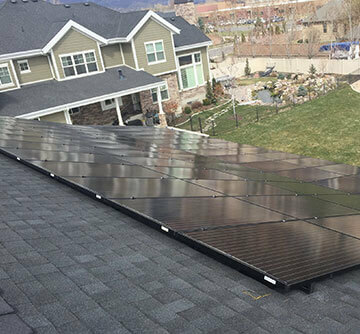 With nearly 40 years of manufacturing experience, the panels will provide many years of service in the harsh Utah weather. Black panels were used to compliment the roof line and blend in more naturally. In an effort to maximize energy production and aesthetics, solar panels are installed on both the south and east facing roofs, remaining completely hidden from street view. 38 solar panels are mounted on the south face of the roof and eight were mounted on the east face. 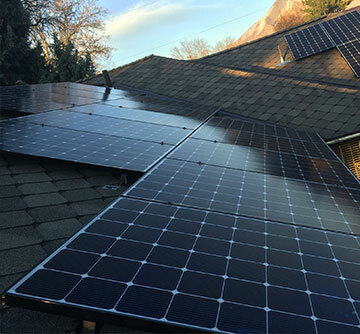 To get the maximum amount of power out of each panel, SolarEdge power optimizers are installed behind each panel. 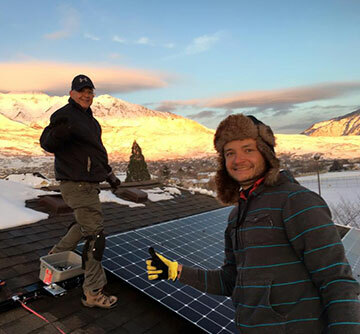 Power optimizers give some of the same benefits of microinverters and increase energy yield, but without placing DC to AC conversion on the roof. The panels are then connected to a 11.4 kW inverter, which does the final conversion to power that can be used in the home. 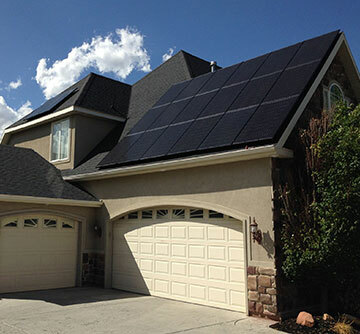 Come visit us during the Salt Lake Parade of Homes to learn how you can start saving money and producing your own power!